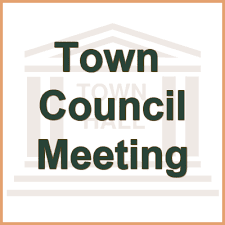 The Windham Town Council met on Tuesday evening, January 22 at 7 p.m. at the Town Hall in the Council Chambers room. A Windham resident addressed concerns he has regarding property values on Maverick Lane due to a marijuana establishment in this residential area. In reference to and to point out the disparity - he stated that there are approximately 13 retail stores in Windham with a population of 18,000, while there are 14 marijuana retails stores in Fresno, California with ½ million people. “I recommend implementing rapid amendments, ordinances and restrictions to require a buffer zone between shops and retail stores.” For safety and quality of life, he implored to make the changes quickly. Among the many agenda items, discussion regarding the town-owned Morrell Property and the possible uses to that land lead to a debate with various opinions and facts expressed. Expansion of the cemetery on that land was one option while the consideration of a community center building location was a preferred use by others. It was decided to put the topic on a future agenda, inviting public comment. Katrina Vehnuizen of Eco-Maine, Senior Environmental Educator, was invited to speak to the Council regarding concerns with curbside and silver bullet recycling programs. The concern was contamination with recycling – materials inappropriately placed in containers and as a result, the fees the town is receiving. After a PowerPoint presentation, the Council discussed ways to educate the public regarding proper recycling. For full details of the meeting and other agenda items discussed, go to the town website at www.windhammaine.us.